New York Jets Confidential – NFL Football » Will McCown be able to accomplish this interesting goal? You hear all over the place that Josh McCown was brought in to mentor the Jets’ young quarterbacks – Christian Hackenberg and Bryce Petty. Will he be able to be able to help them read defenses better? Will he be able to improve their pocket presence? Will he be able to help them with their accuracy? Will he be able to help them throw with early anticipation instead of looking for receivers to be wide open? It will be interesting to see if he can accomplish the eclectic assignment he seemingly has – to teach them so well that one of them beats him out for the Jets’ starting job. 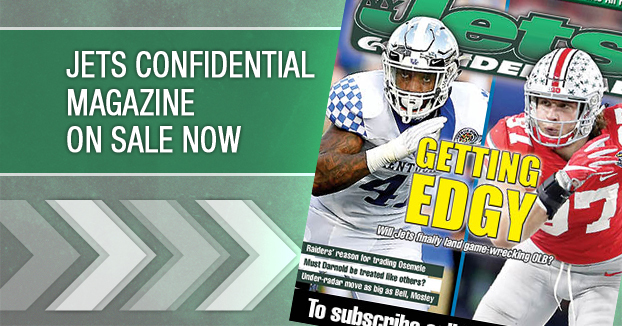 *****The new issue of Jets Confidential Magazine on is on news stands. Great beach reading this weekend. 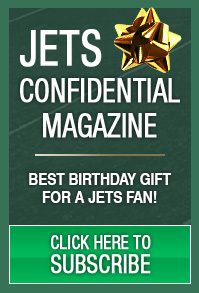 To subscribe to Jets Confidential Magazine click below, or call 1-800-932-4557 (M-F, 9-5).